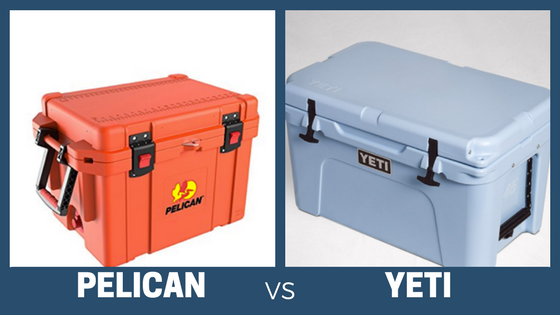 Pelican Coolers vs Yeti Coolers: We’ve Found the Winner! If you’re looking for the best of the best, good! You came to the right place. 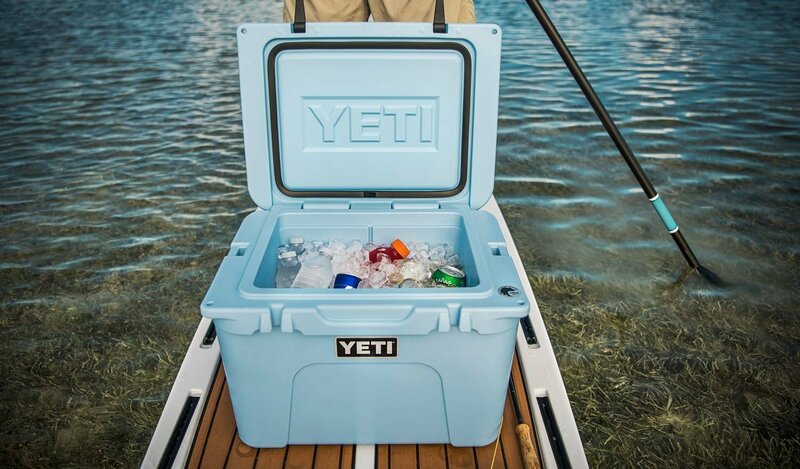 The purpose of reviewing “Pelican Coolers vs Yeti Coolers: We’ve Found the Winner” is to help find you the best cooler for doing what you love most. After reading our detailed comparison of these two robust ice coolers, you’ll have the detailed information you need to make an informed decision. 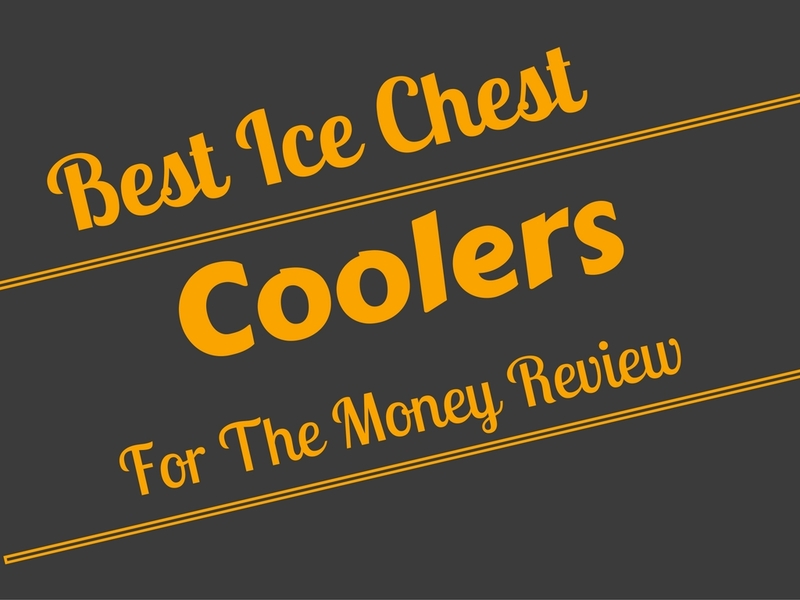 So sit back, relax, and see how these rugged ice chests compare. 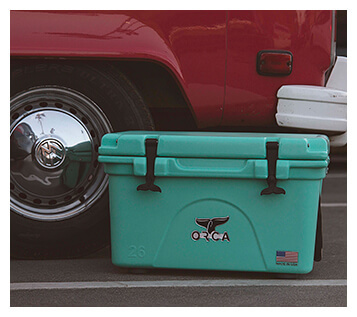 In order to determine if one cooler holds ice longer than the other, we studied several different ice test challenges between Pelican Coolers and Yeti Coolers. In both videos, you’ll see more than just an ice test comparison. You’ll also get to see how the cooler operates and the basic construction and features. A small amount of ice left on day 5. As you can see, the Pelican ProGear Elite Cooler held ice longer in this specific comparison. Yeti Cooler Results: After 8 days, this mighty ice chest still held ice. Pelican Cooler Results: After 8 days, the Pelican had no ice remaining. Undoubtedly, this gave the smaller Yeti Tundra 35 an advantage over the Pelican 35 Quart. Another interesting fact is that this test was performed in the middle of summer with an average temperature of 88 degrees. Here’s a perfect example of how colorful Pelican Coolers can be. 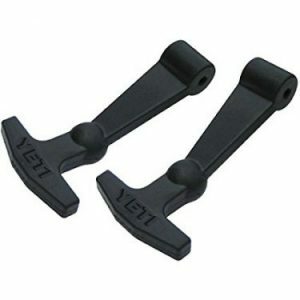 Yeti’s signature T Rex latches are cheap and easy to replace. *The Yeti Roadie does not have a dry goods basket or rope handles. Although some features vary, both coolers are practically indestructible. Not even an angry bear throwing one of them at a tree would phase these tough-as-nails coolers. As you can see, their roto-molded, tough plastic bodies aren’t phased by anything… even a slingshot. As discussed above, both coolers are rotationally molded and crafted from the toughest plastic available. To say they’re “tough cookies” would be a huge understatement! Always remember to consider ease of use, or “usability!” Although every cooler has unique quirks, some are more cumbersome than others. The Pelican 5 lb Ice Pack chills contents faster & stays cold longer. Occasionally, Yeti Coolers’ lids close randomly. This is disconcerting for parents of young children, that’s for sure! But the Pelican Coolers’ lids work just fine. Yeti Coolers’ handles dangle at the exact level of the drain plug, which is a hassle for some people. Another downside is that it’s easier to lose its detachable plug. On the upside, the Yeti drain plugs’ versatility is very convenient. The hole in the plug allows you to control the speed of draining. Pelican Coolers’ drain plug leashes are also double-edged swords. On the other hand though, they’re garden hose-friendly. Well, both coolers are a bit difficult to squeeze in the back of your trunk or in other tight places. Their external hardware sticks out. 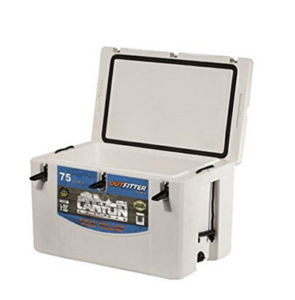 If you’re looking for an easy-to-pack ice chest, Canyon Outfitter Coolers have recessed hardware, making them much easier to pack. The Pelican ProGear Elite 45 Quart with wheels. Pelican Coolers are less expensive than their Yeti counterparts. Of course it’s natural to gravitate toward less expensive equipment. And then you discover if less expensive means “low quality” or just a “good deal.” In this case, you’ve found a damn good deal. Obviously, Pelican Coolers blow Yeti Coolers out of the water in this section of Pelican Coolers vs Yeti Coolers. For the first three months, everything on a Pelican everything is covered. 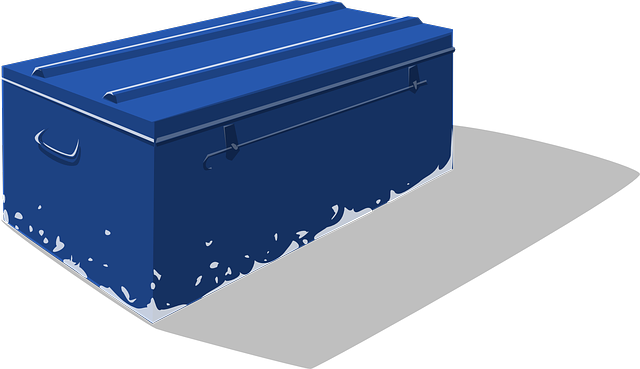 After that, you have a lifetime protection of only the roto-molded body of the cooler. 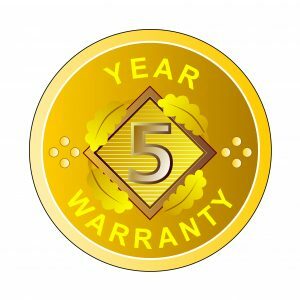 Unsurprisingly, Yeti offers a five-year warranty. Why? Because those lucky bastards have quite a loyal following. They do what they want. Luckily, there are plenty of discounted replacement parts for Yeti Tundra Coolers on Amazon. In addition to these classic colors, Yeti offers an astounding collegiate series, logs, and more. 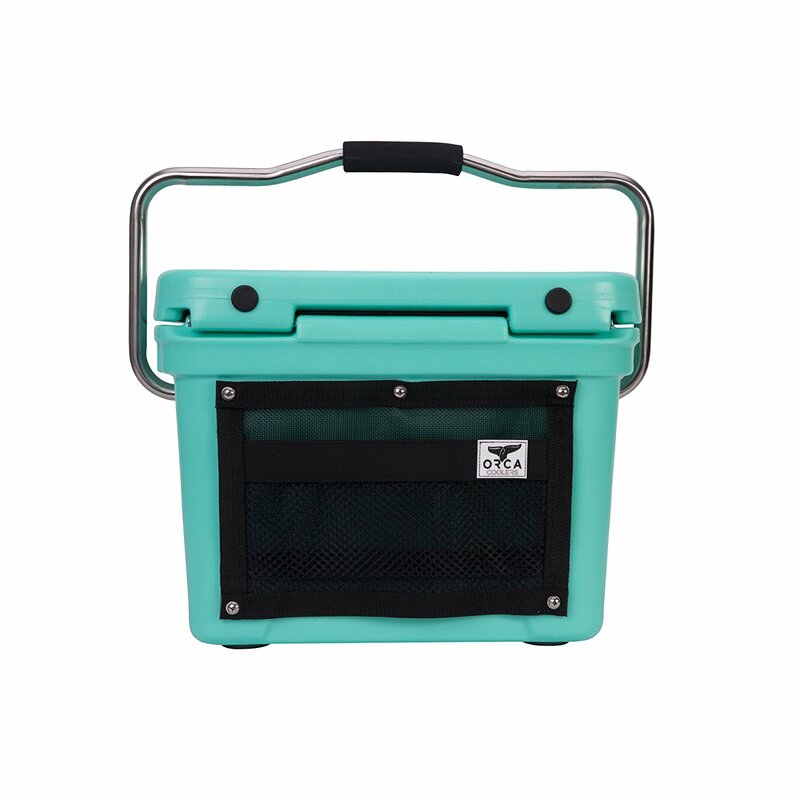 Pelican Cooler Colors: There are 21 colors to choose from. Talk about variety! It’s a tough call to make, since these coolers are neck-in-neck. In truth, no matter what we conclude, the “best” one for you could be either one. Ultimately, it boils down to your own preferences. 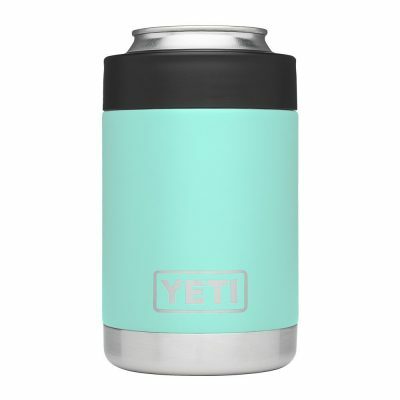 The Yeti Rambler Colster is the perfect finishing touch for your brand new Yeti Tundra. Pelican ProGear Elite Coolers’ long ice retention makes them the best choice for outdoors people who spend a week or more in the backcountry. And Pelican Coolers are practically begging to go on a fishing trip. The fish ruler and drink holders are perfect for a relaxing day on the water. To be fair, Yetis are much better looking. 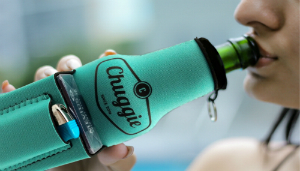 Their sleek design and finish plays just as much a role as Pelican Coolers Color does. Also, Yeti Coolers are just as strong and well-constructed as Pelicans, so you’re definitely not wasting your money. For those of you who love the status symbol of Yeti Coolers, rock on. So if a high price tag doesn’t phase you, go for it. Just remember how short Yeti Coolers’ Ice Retention can be. Overall, Pelican ProGear Elite Coolers are the best coolers for the money. They have multiple built-in features, and their ice retention is best. Plus, Pelican Coolers cost and warranty is extremely better than Yeti’s. However, this was a close call. If you go with a Yeti, we salute that decision. That’s also a fantastic choice. How long does dry ice last in a cooler? We usually think of using traditional crushed ice chips, ice blocks, or ice packs in a cooler. But if you’re like us, you recently started looking into dry ice and want to know more. 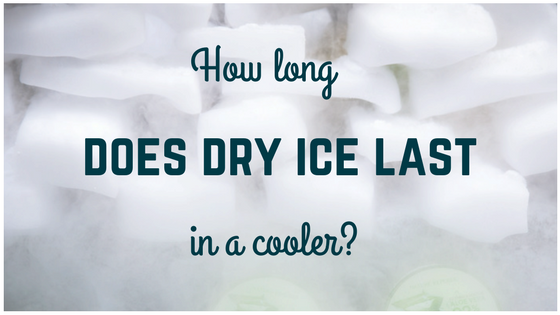 It only makes sense that you’re wondering: how long does dry ice last in a cooler? If you’re feeling antsy and want to make sure this article is worth your time (it is! ), here’s a brief outline of the topics we’ll cover. 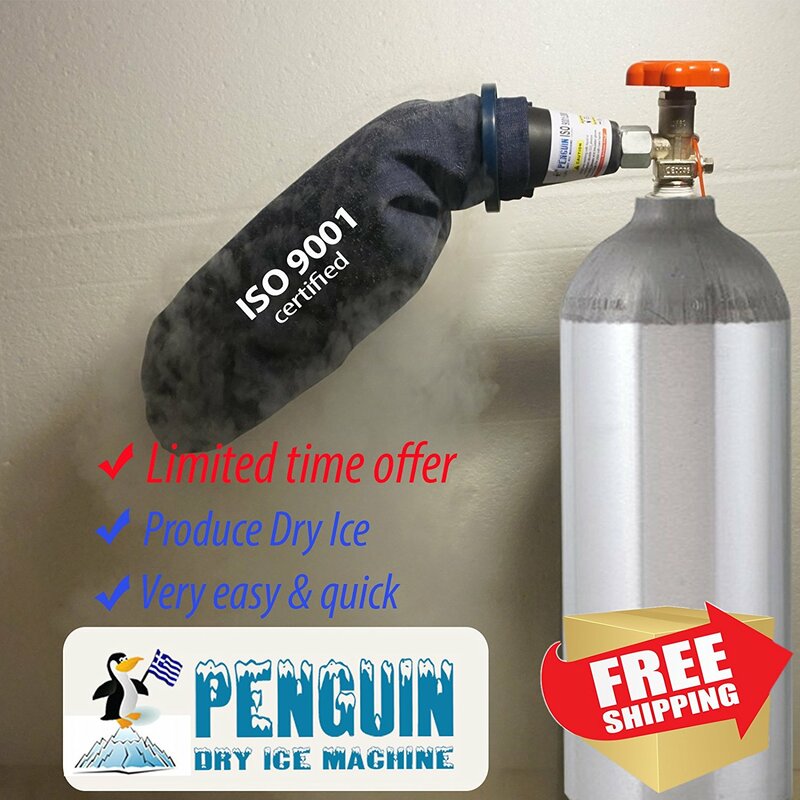 We designed this post to answer the most frequently asked questions about dry ice. 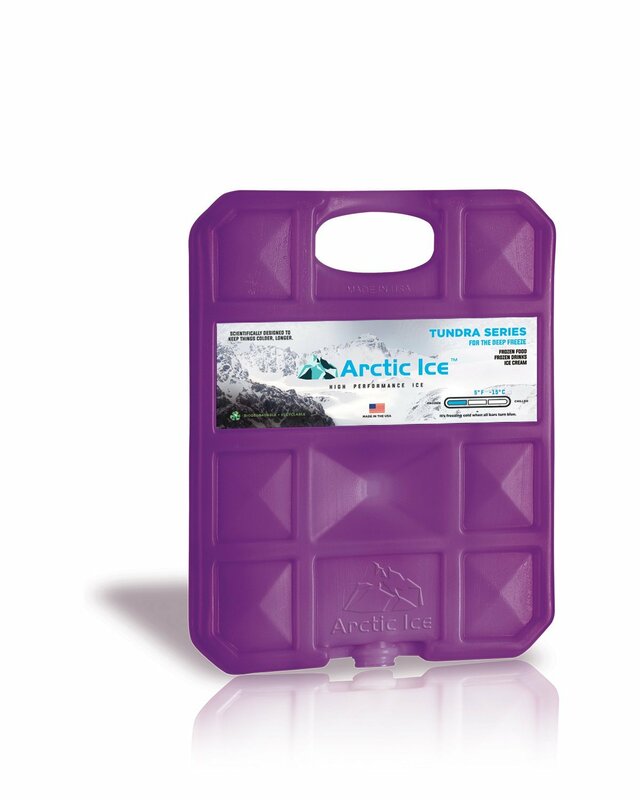 Arctic Ice Packs also keep food frozen, at 5 degrees F.
What are the best coolers for dry ice? 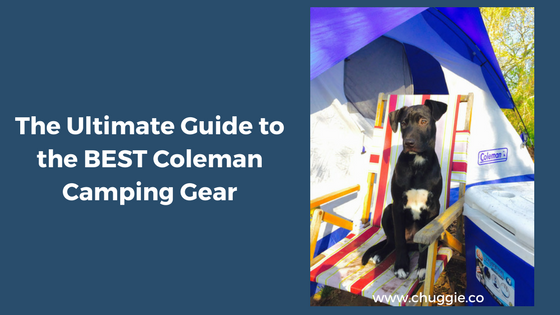 What is the best dry ice Camping Cooler? Can you put dry ice in a Yeti Cooler? What are the best dry ice coolers for sale? What are the benefits of dry ice vs traditional ice? And, of course, answers to the most important question of all: how long does dry ice last in a cooler? Here, you can see dry ice in the form of small pellets. Dry ice is simply carbon dioxide in a very, very condensed form. It comes in see-through blocks or pellets. As long as it’s condensed, it’ll keep the contents of your ice chest frozen. (Not just cold, frozen.) When exposed to air, it evaporates back to its original form, gas. Just like we always say, ice retention depends on multiple factors. According to seasoned fishers, dry ice lasts for about 24 hours in a cooler. Cook’s Illustrated performed a cooler comparison test to compare the different kinds of ice. They put ice cream in two soft coolers, one with regular ice, and the other with dry ice. After three hours, the ice cream in traditional ice was liquid. In contrast, it took 9 hours for the ice cream to turn soupy in the cooler with dry ice. In our experience, six to -twelve pounds of ice per 24 hours will maximize how long dry ice will last in a cooler. In general, dry ice ice will last in a cooler for 15-26 hours. Dry ice isn’t long-lasting, but since it keeps your stuff frozen solid, there’ll definitely be times when it’s better than regular ice. For example, keeping your meat cold during your weekend hunting trip. How long does dry ice last in a Styrofoam cooler? Dry ice will last in a cooler about as long as other coolers. This might be surprising, but it’s true! Styrofoam coolers just have shorter lives than rigid coolers, just like dry ice. Can you put dry ice in a Yeti Cooler? What is the best cooler for dry ice?What is the best dry ice camping cooler? You could stop here and skip to the instructions at the bottom of “How long does dry ice last in a cooler?” right now, if you wanted to. Pelican Coolers are amazing and will serve you well. Another option is an Igloo Sportsman. 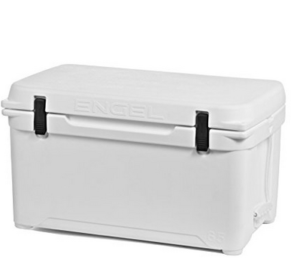 Igloo Coolers are of good quality, but not quite as durable as the top-tier coolers. 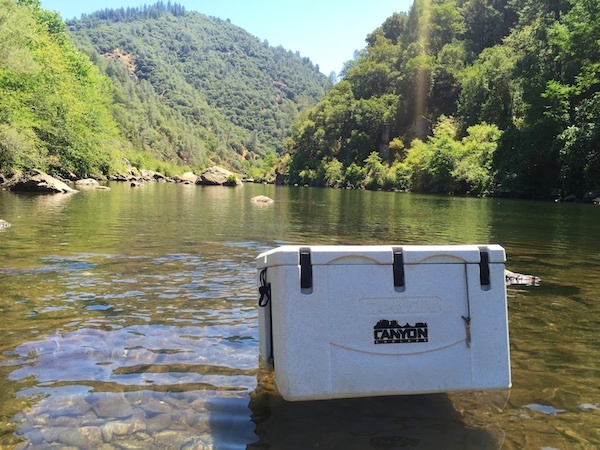 If you don’t intend on using a cooler in rugged, back country settings, you’ll be just fine. 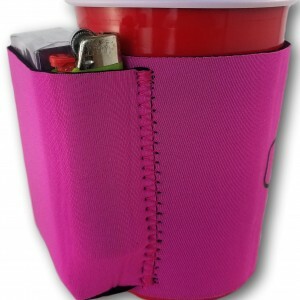 Plus, Igloo Coolers are inexpensive. To answer the first question, yes – you can certainly put dry ice in a Yeti Cooler! 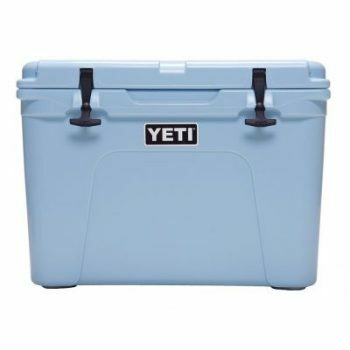 The Yeti Tundra Series is a great line of coolers, with capacities ranging from the Yeti Roadie to the Yeti Tundra 350. 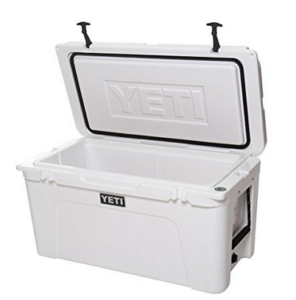 These rugged ice chests are all dry ice compatible, and Yeti offers an excellent list of instructions for using dry ice in their coolers. Caveat: Don’t use dry ice in a Yeti Hopper. 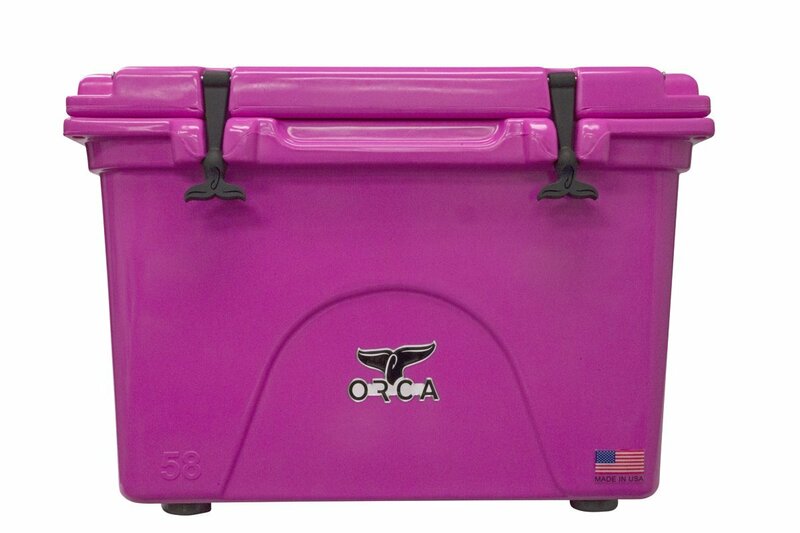 You’d be doing yourself a big favor by investing in an Orca Cooler. They’re durable, have great ice retention, and are well-loved by outdoors people all over the country. There are many more runner-up coolers that work well with dry ice. 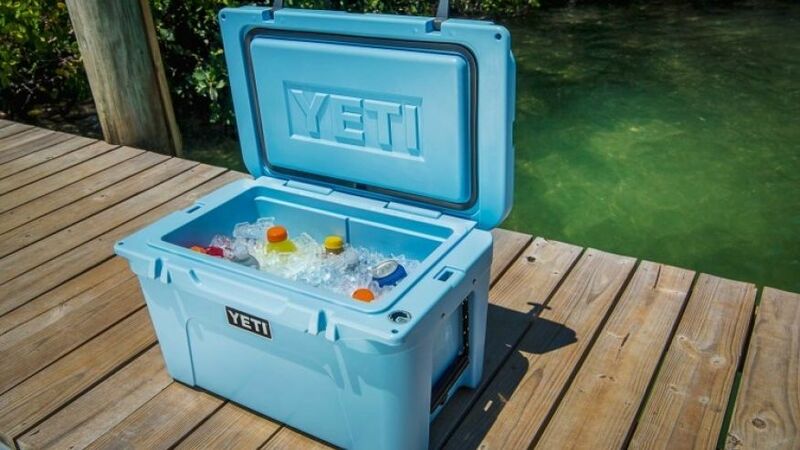 Check out: The 8 Best Coolers Like Yeti But Cheaper to Avoid Breaking the Bank. Whereas ice blocks and chips can leak and cause dampness in your cooler, dry ice will never melt. #1. You need to protect yourself when using dry ice in a cooler. First of all, it’s essential to wear gloves while you’re handling it, because it can burn you pretty badly. If you don’t want to buy gloves, oven mitts and hand towels work well. #2. Store ice in a ventilated area. #3. Never store dry ice in a freezer! #4. Wear goggles and face-shielding device . #5. Keep children from touching the dry ice. #6. Get rid of the dry ice by putting the cooler in an outside, open area. Don’t flush it down the toilet or put it in a trash can. #7. If you have blistering skin from dry ice, go to a doctor as soon as you can! We want to give a shout out to Wiki How’s article entitled “How to Store Dry Ice” for sharing these incredibly vital safety rules. FAQs: How long does dry ice last in a cooler? Without a doubt, the way you pack your cooler with dry ice impacts retention time. Here are very important guidelines for packing dry ice in a cooler, as well as increasing the dry ice lifespan. Remember to put on your gloves for safety. Use crumpled up newspaper for filling in open spaces (no matter how small). Or, as Yeti suggests, you can wrap each piece of dry ice with multiple layers of newspaper. Place the dry ice on the bottom or top of the cooler. For maximum results, opt for the top of the cooler. Dry ice will last longer in a cooler when all of the air space is filled. Use dry ice nuggets or ice water to fill these air pockets. Store your ice chest in a cool place. Only open the cooler when absolutely have to. Plan ahead to minimize opening. Conclusion: How Long Does Dry Ice Last in a Cooler? In our experience, dry ice lasts for about 15-25 hours in a cooler. However, as you can see from the table above, it all depends on how much dry ice you’re using and how much you’re shipping. Additionally, it will last longer if you use and pack it correctly. Above all, remember to handle dry ice with the utmost care! You’re important to us and we don’t want to see you hurt. More and more ads for Pelican Coolers are popping up as summer approaches. Good! Get ready for our full-on review of Pelican Coolers for sale. 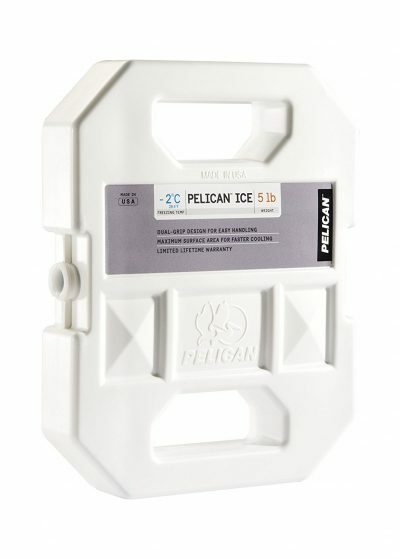 Pelican Coolers are capable of holding ice for up to 10 days. One user filled his Pelican ProGear Cooler with ice and stored it in his 100+ degree garage. Solid ice remained for 4 days! 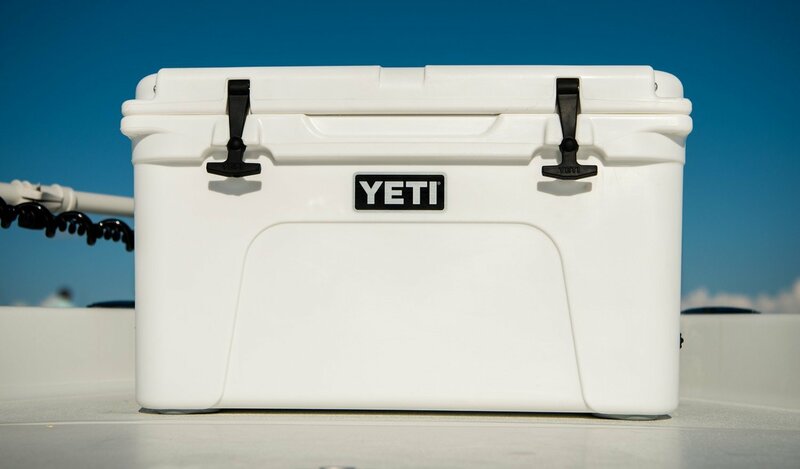 The stereotypical “best” high-end cooler brand is the Yeti, but don’t be fooled. Pelican Coolers ice retention defeats Yeti Coolers the majority of the of the time. Judging by the first section in our review of Pelican Coolers for sale, it looks like we’ve found one sweet cooler. Stay with us though – we don’t know if it’s worthy for your weekends just yet. Questioning Pelican Coolers’ durability? Look no further. Popular Mechanics rented an actual Grizzly Bear to rough up a Pelican. Kudos to their bravery – that is one hell of a bear, weighing in at 450lbs. The bear attempted to break apart the cooler for a mere 15 minutes before he gave up. Pelican Coolers are strong and will last you for decades. But we’re too committed to our review of Pelicans for sale to neglect the negatives. We’ll let you in on potential weak spots. 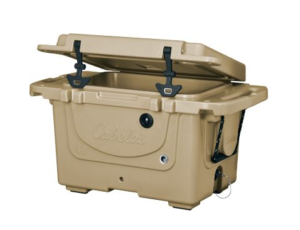 Pelican Coolers’ durability level takes a hit with their handles, drain plug, and gasket. These parts are made with polyurethane rather than the higher-quality polypropylene used for other parts of the cooler. They are often the first parts to fall apart. Construction goes hand in hand with durability. Just how are these hefty coolers designed? Body– The unbreakable body is rotomolded from polypropylene plastic and protected by stainless-steel hardware. Latches– These ABS plastic, 3” press-and-pull latches open at the press of a button! 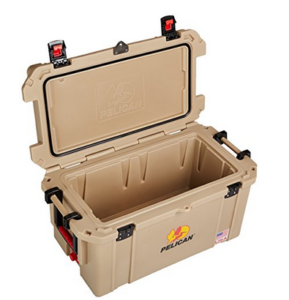 Lid– The lids on Pelican Coolers feature molded-in 4 can holders and tie down points. Handle– Pelican Coolers feature handles constructed from polyurethane plastic, varying in form per size and model. Insulation: Thick polyurethane foam keeps the inerior icy cold for days. Gasket: Pelican Coolers feature freezer-grade, 2” thick gaskets crafted from polyurethane insulation. Lock Hasp– The lock hasp is molded in with a built-in bottle opener. Buy your favorite beer, plan an awesome weekend, and let the good times roll. Drain Plug- These attached polyurethane drain plugs feature a slight extension at the opening and a two-inch drain plug leash. Next time you’re with a friend and see Pelican Coolers for sale, fill them in on your detailed knowledge. If you take away one new piece of information from this review of Pelican Coolers for sale, we hope it’s the Pelican Elite Wheeled Coolers. 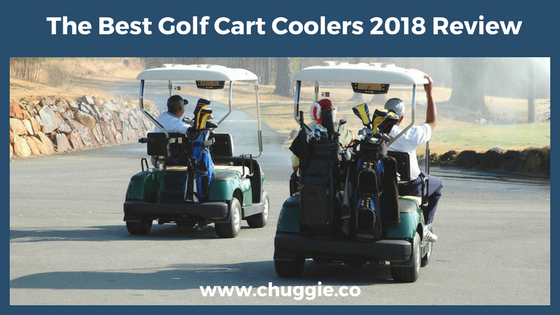 Maybe you won’t be jumping up and down with glee like we do (we’re kind of in love with coolers), but you’re going to want to check these wheeled beauties out. Pelican Cooler wheels are available in four sizes, ranging from 45 Quarts to 80 Quarts. Each cooler has two wide, rubber wheels on one end. The raised, non-skid feet prevent them from touching the ground when it’s stationary. All in all, these Pelican Wheeled Coolers make for easy transportation and withholds Pelican’s high standards. A cumbersome cooler is a major buzz kill. Weekends are meant to be fun! Pelican has gone out of its way to offer as much ease as possible, yet another reason this review of Pelican Coolers for sale has a positive vibe. The nifty button mounted on Pelican ProGearElite Coolers makes it easy to open the lid, and the lid easily snaps back into place. 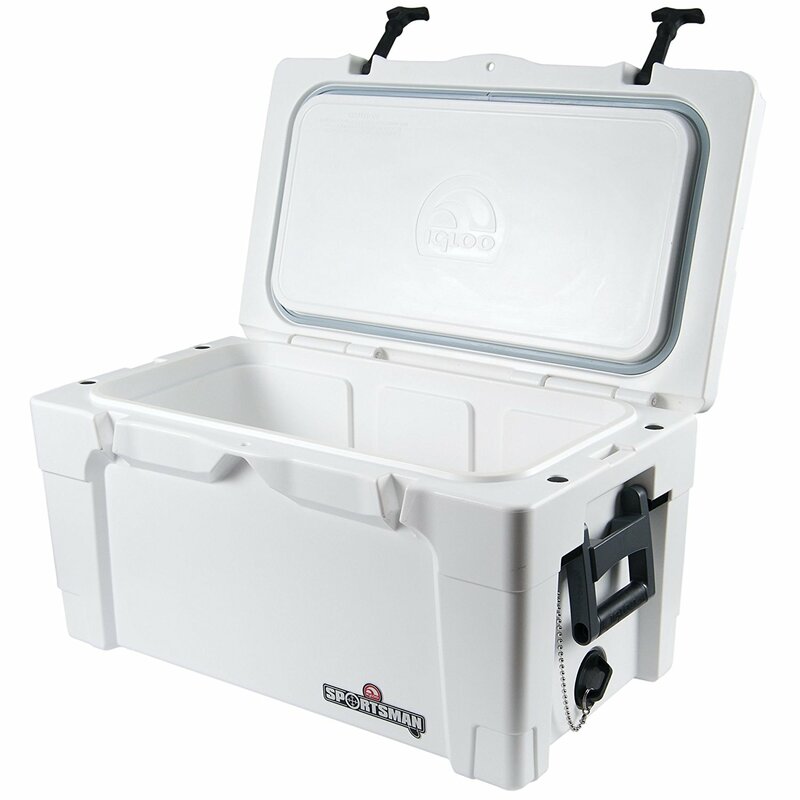 Another win for Pelican Coolers ease of use is how the lid stays open. This may sound like a no-brainer, but there are pricy coolers whose lids either randomly shut. The lids also feature integrated fish rulers. Pelican Coolers’ built-in beer bottle openers are the best. 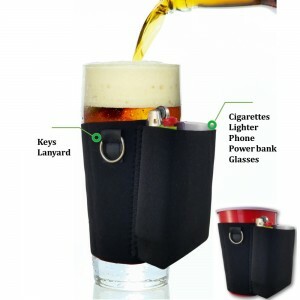 Use it to open your first bottle of beer. Trust us, it’s the most satisfying feeling. The attached drain plug leash causes Pelican Coolers’ ease of use level to take a slight hit. It might push itself into the stream of water, making it difficult to stay dray. However, Pelican Coolers’ drain plugs connect well with garden hoses for rapid draining. Fashionistas are constantly talking about the need to accessorize. In the realm of coolers, it’s just as fun. 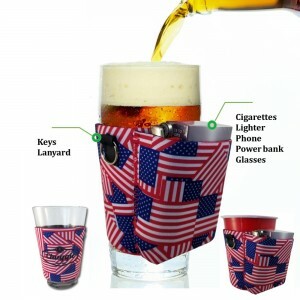 Those of you who love to shop can add one more thing to your agenda when perusing Pelican Coolers for sale. A Dry Rack Basket easily fits inside and keeps your dried goods dry. The Elite Cooler Seat Cushion fits perfectly on top of your cooler. No more shifting uncomfortably on an ant-infested stump of a tree. Now singing around the fire can be enjoyable! The most practical of the Pelican Cooler Accessories is the Pelican 5lb Reusable Ice Pack. 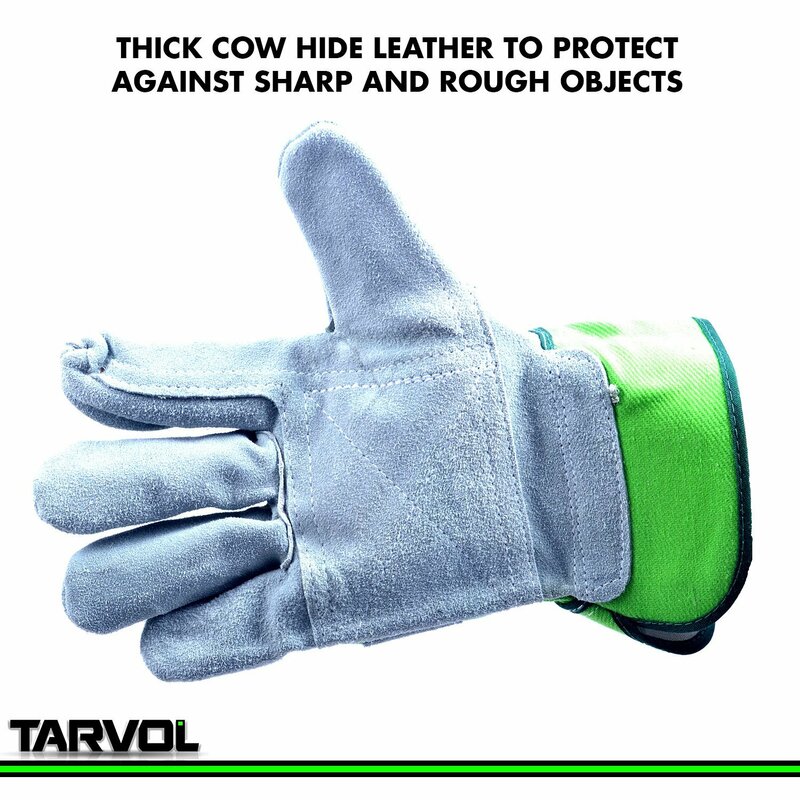 This features a dual grip for easy handling. Fill your cooler with equal parts of ice and ice pack/s. The most badass, affordable of all the Pelican Cooler Accessories is the Tie Down Kit, ideal for rickety truck beds and any other uneven places. If you’ve wondered where to buy Pelican Coolers at the lowest possible prices, you’re not alone. 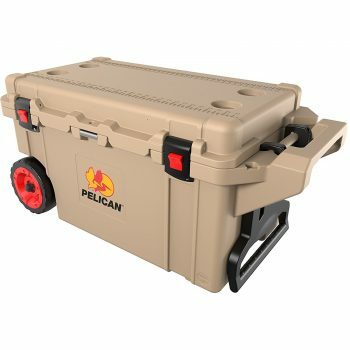 We did a little digging and found Pelican coolers for sale as cheap as $193.37 for the 20 Quart to $821.55 for their 250 Quart. Finding a Pelican is a cinch. Major department stores like Target, Costco, Walmart, Home Depot, and Sam’s Club are likely located within your town or region if you want to buy a cooler in person. We think it’s better to order from these stores online because you don’t have to bother going into a store only to be disappointed that the specific cooler you want is out of stock. 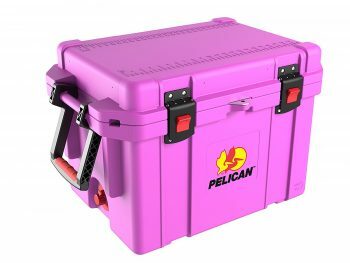 You’ll also have access to exclusive promo codes when you find Pelican Coolers for sale online. You can compare the discounts from various online vendors to find the best possible deal. We were newbies once, scratching our heads and wondering where to buy Pelican coolers. Our friends tipped us off back then, so now we’re paying it forward. In addition to these major department stores’ websites, you should check out Amazon or eBay for even cheaper prices. 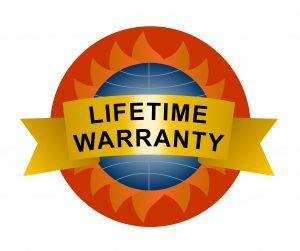 Pelican Coolers come with Limited Lifetime Warranties…but make sure to the fine print. They cover your cooler for three months for flawed material and workmanship. Pelican warranty does not apply to cooler accessories, wheels, drain plug/spigot, rubber feet, color fading, or gasket. Even though the warranty is a total bummer, our review of pelican coolers for sale wouldn’t be complete without it. Those of you who love the colorful life, you’re in luck! This section of our review of Pelican coolers for sale was, by far, the best. Savvy outdoors-people keeping an eye open for Pelican coolers for sale, you have 21 colors to choose from: Golden Yellow, Navy Blue, Red, Aqua Green, Burnt Orange, Burgundy, Deep Blue, Deep Purple, Forest `Green, Midnight Blue, Teal Green, Light Blue, Maroon, Light Orange, Light Purple, Dark Blue, and Gray. Very few coolers on par with the Pelican can boast of this vast of a spectrum. These cooler prodigies are arguably the best high-end cooler out there. They hold ice well, are easy to use, and can take a beating from a bear. They’ve also got unique qualities, like a button for opening the lid and a built-in bottle opening. 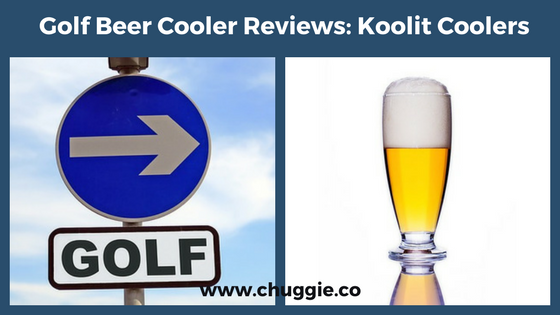 As you’re finishing our very official sounding ‘Chuggie’s Review of Pelican Coolers’, you know how we feel. Hopefully we’ve convinced you to get your own Pelican Cooler. You’ll be ready for June when weekends get a lot livelier and warmer.